The Hoops had to survive a nervy last five minutes before completing their third league “double” of the season at Gillingham on Saturday. The three points had already looked in the bag when Deal went in at the break with a 3-0 lead and then a strong defensive performance meant they remained in command for most of the second half only for Blair to stage a late revival with two goals in the last six minutes. Kicking downhill in the first half and with a strong wind at their backs, the Hoops went in front after just five minutes when Sam Wilson produced a calm finish after being played in by Connor Coyne and then five minutes later Wilson repaid the compliment for his strike partner. 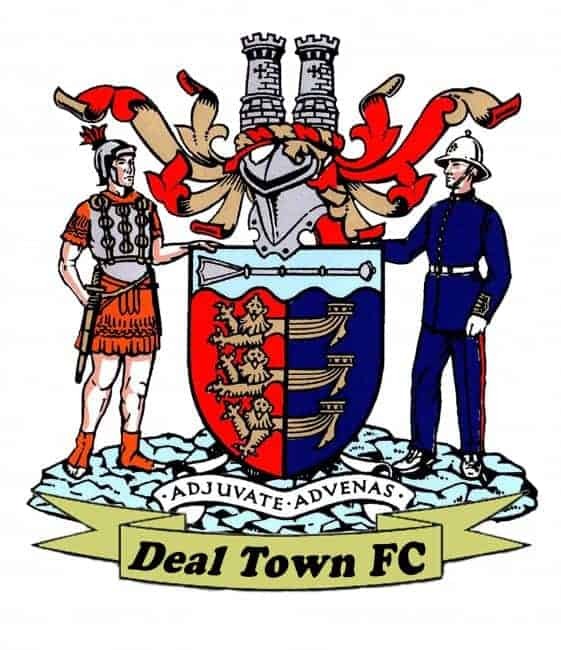 Deal continued to play some superb football despite the poor playing surface and it was no surprise when they went 3-0 ahead on 38 minutes, with Wilson finishing off more good work by Coyne. The second half was a different story however with Blair doing the majority of the attacking but the Hoops backline held firm until the 84th minute when Jason Fregene pulled one back for the home side. And then within a minute of the restart Blair scored again, this time through substitute Jason Mensah, but the Hoops managed to hang on to their now slender lead until the final whistle and so notch up their fifth away league win of the season. Deal: Tonkin, Chapman, K Smith, Maughan, Foster, Pilcher (Hark 74), Arthurs (Scott 78), B Munday, T Bramble, Wilson, Coyne.